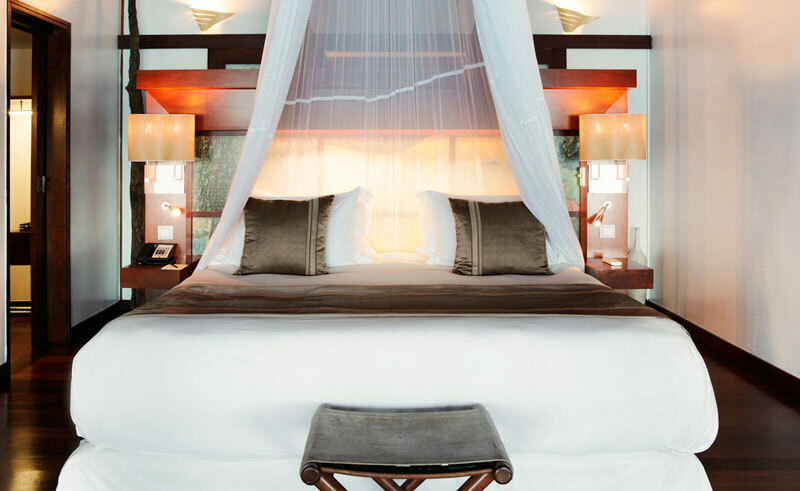 Sofitel Moorea Ia Ora Beach Resort sits on a crystal clear lagoon with a white sand beach to the front of the property and at its back jagged green mountains reaching into the clouds. 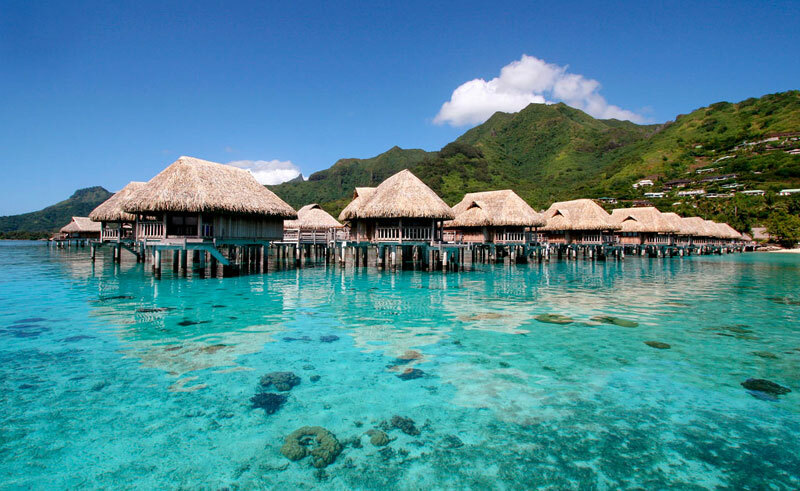 Choose to stay in the Polynesian bungalows that float in the lagoon, or a bungalow tucked away in the beautiful gardens or on the glorious sandy beach. 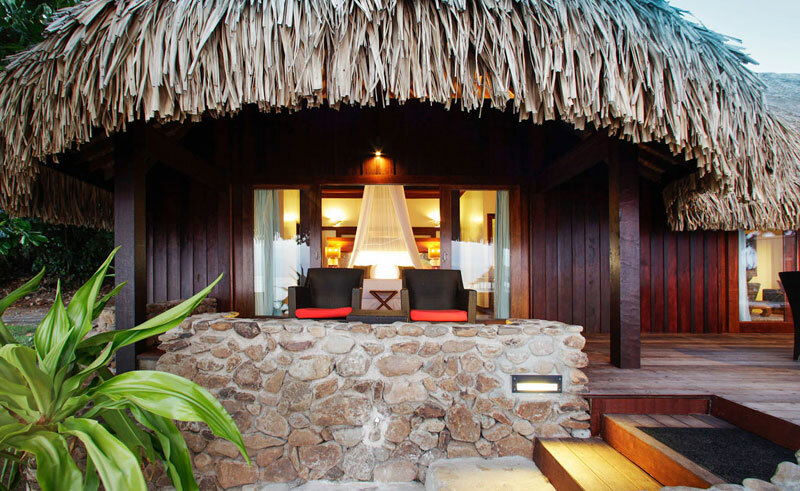 Each bungalow embodies the beauty of Tahiti, featuring natural materials, luxurious rainfall showers and deluxe bathroom amenities, modern technology and relaxing day beds.